When it comes to Asian restaurants, they often say the worse looking the restaurant, the better the food. With years of dining out, I have seen that this is not necessarily true but have quickly learned not to judge a book by its cover. Matsuri is an unassuming restaurant in the less hectic, somewhat forgotten, strip of Gouger Street. From the exterior, the restaurant is dated and dingy without being offensive. But walk up the dimly lit staircase and you will soon be welcomed by a hidden Japanese sanctuary – complete with a mini Japanese rock garden, kimono clad smiling waitresses and a surprisingly ambient restaurant. On initial impressions it seems that external appearances can in fact be deceiving. The restaurant is divided into a tatami (traditional) section and a Western section with tables and chairs. Since we opted for the traditional option, the smiling Japanese waitresses politely asked us to slide off our shoes and place them in a storage cupboard while we were whisked to a bamboo clad private table. For extra comfort, Matsuri had sunken floors so we did not to have to sit cross legged or kneel. The tables are separated by wooden dividers and curtains so it’s the perfect date place if you want a bit more privacy from your neighbours. 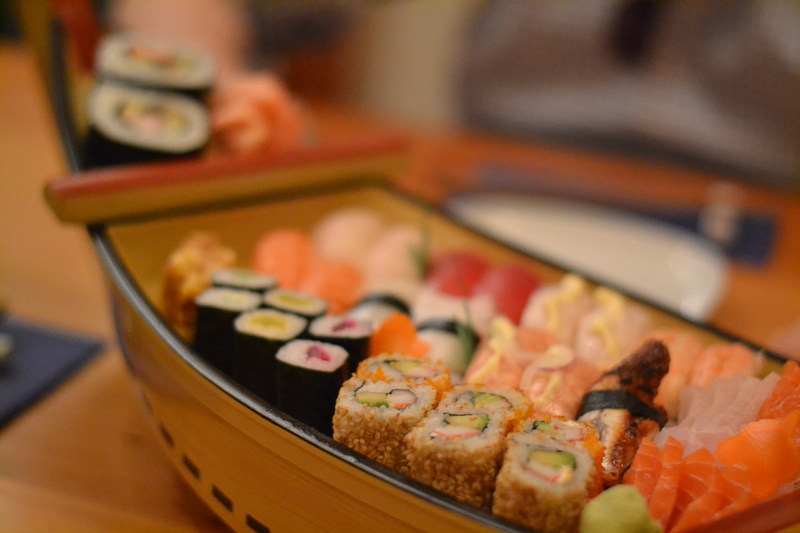 The comprehensive menu boasts a wide range of authentic Japanese cuisine like sushi, tempura, udon noodles and Ishiyaki. There’s also a blackboard on the wall with daily specials. 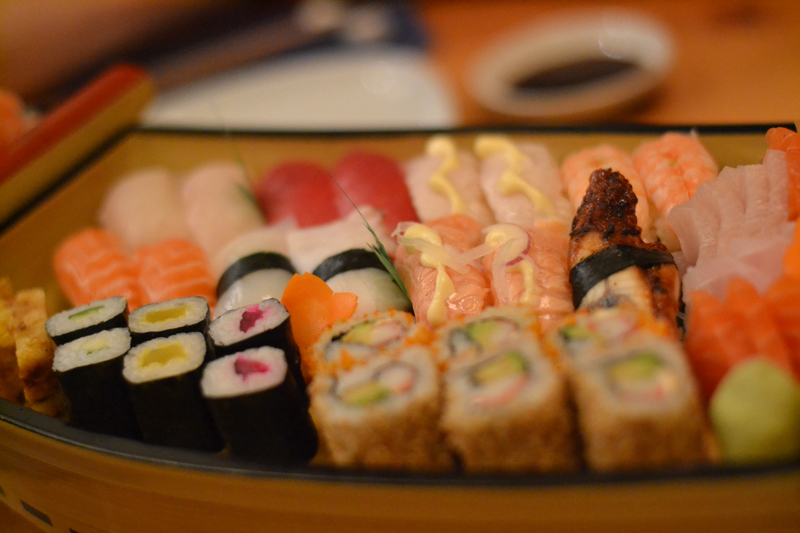 We started with the large “funamori”, a wooden decorative boat ($65.80) laden with dozens of bite sized pieces of sushi and sashimi. It was beautifully presented, each piece being delicately cut and prepared. The eel, salmon and tuna were all fresh and intricately carved. If you are feeling game, try a slick of their palate popping wasabi on the side. 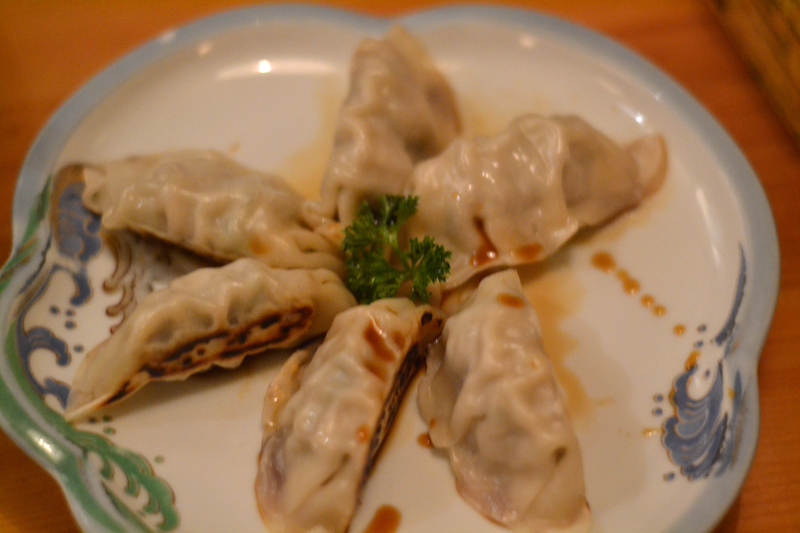 The gyoza (pan fried dumplings) were little parcels of deliciousness. 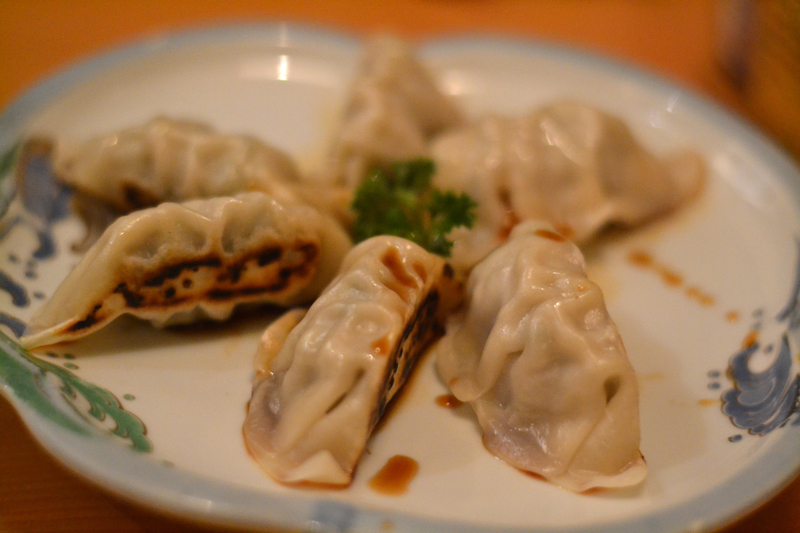 The case was slightly sticky and golden and achieved the slightly crisp bottom that a perfect gyoza aspires to. No soggy bottoms here! The dumplings were perfectly sealed and held together the seasoned pork mince with ease. The pork was subtly seasoned with ginger, garlic and a generous slick of soy. 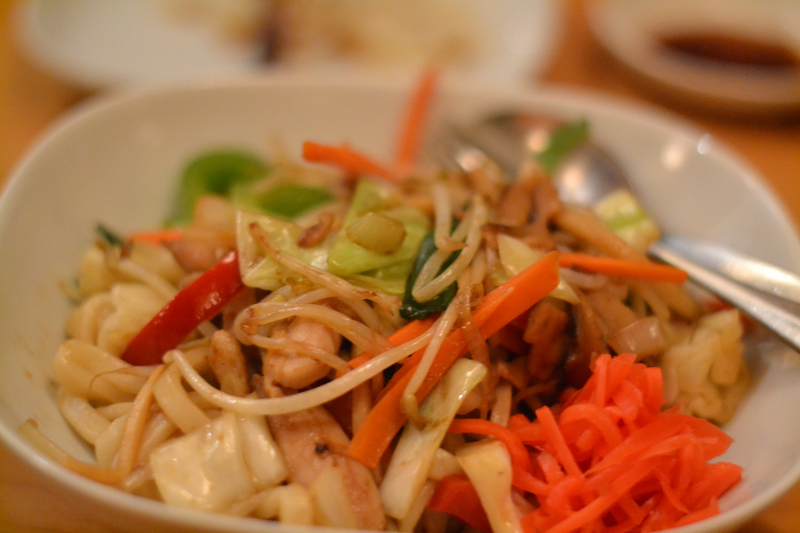 Next came the Yaki Udon – thick, hearty udon noodles were pan fried with a fresh mix of vegetables. The dish was delicately seasoned which let the udon be the hero of the dish. The disappointment of the evening was the Tonkatsu pork which had been so overly breaded and overcooked I may as well have been eating sawdust. I am usually a big fan of tonkatsu (breaded, deep-fried pork served traditionally served with cabbage and a thick brown Worcestershire sauce). A bite into the golden crunchy batter is usually offset by the juicy pork beneath. Unfortunately on this occasion there was no succulent pork to sink my teeth into. The only option was to drown the overcooked fillets in the tangy tonkatsu sauce. If you’re looking for an authentic Japanese experience, you can’t go past Matsuri but if it is affordable Japanese food you’re looking for try Wasai – one of my favourites up the road. Just don’t bring your Louboutins if you go tatami style. Approximately $30 per person excluding drinks.